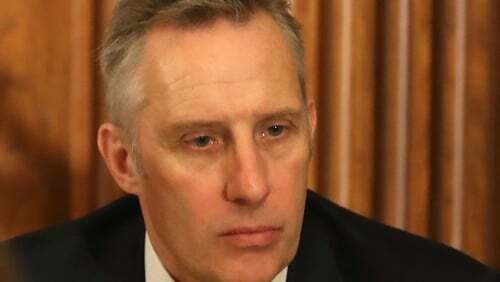 North Antrim DUP MP Ian Paisley Jr has described an article about him in today's Daily Telegraph newspaper as defamatory, saying it is devoid of logic and that he has referred it to his solicitor. In a twitter post, Mr Paisley also states that he will refer himself to the Westminster Parliamentary Commissioner for Standards. The Daily Telegraph article alleges that four years ago Mr Paisley accepted holidays worth £100,000 from the Sri Lankan government. It also claims he is now helping Sri Lanka to secure a post-Brexit trade deal. 1/2 The Daily Telegraph article is defamatory. It is devoid of fact or logic. Referred to my lawyer. 2/2. I will refer myself to the Parliamentary Commissioner for Standards. Ian Paisley MP will rightly refer himself to the Commissioner for Standards. We await the outcome of that investigation. The House of Commons Code of Conduct states that MPs must declare any visit to a destination outside the UK which "relates in any way to their membership of the House or to their parliamentary or political activities" and which cost more than £300, unless they have paid for it themselves or out of parliamentary or party funds. The rules state the MPs do not have to register family holidays, so long as they are "wholly unconnected with membership of the House or with the member's parliamentary or political activities". Entries in the Register of Members' Interests should cover the cost of travel, hotels, meals, hospitality and car hire, and repeat visits should be registered if their combined value comes to over £300. Mr Paisley's Register entries include a trade mission to Sri Lanka in 2012, as well as a second trip to the island that year as part of a cross-party parliamentary delegation examining post-war reconstruction, funded to the tune of £3,200 by the Colombo government. Complaints over alleged breaches of the Code are investigated by the Parliamentary Standards Commissioner Kathryn Hudson, who reports to the Commons Standards Committee. This committee, made up of MPs and lay members, has the power to recommend sanctions such as requiring an apology or temporary suspension, subject to a vote in the Commons. Duncan Hames, policy director at Transparency International UK, said: "These are very serious allegations, and the Parliamentary Standards Commissioner should make investigating them a top priority. "Any unnecessary delay to resolving this matter would only damage public confidence in Parliament's ability to police its standards for MPs' conduct." Meanwhile, British Prime Minister Theresa May's spokeswoman noted Mr Paisley had referred himself to the Parliamentary Standards Commissioner when asked about the situation. She told a Westminster briefing: "I think that's a matter for (the) Parliamentary Standards Authority. I think the stories are about personal visits he made back in 2013."